In Ovid's Metamorphoses, there is a great flood. Ovid describes dolphins swimming through the forest, in a surreally beautiful moment that is part of a catastrophe. That's the thing about environmental catastrophes: they can be beguiling and beautiful, as long as you are not caught up in them. There is something appealing about the way in which a flood wipes the slate clean. The Epic of Gilgamesh from ancient Mesopotamia (around 2100 BC) also describes a great deluge and the resulting transformation of the main character. The biblical flood in the Book of Genesis, where the animals are preserved two by two, is familiar to many. There are floods in Norse, Chinese, Hindu, South American and Aboriginal mythologies. There is some geological evidence to suggest that some of these stories were inspired by real events. But what is most fascinating about these narratives is their symbolic energy. The floods destroy almost everything, including humanity, and usher in a new beginning. Only a handful of humans and carefully selected creatures are saved, often in a purpose-built ark designed to ride out the storm. The rage of the flood is the rage of God, or Nature itself. These are some of the earliest surviving apocalyptic fictions. 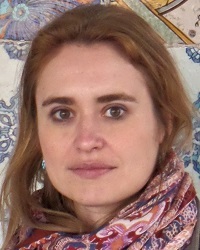 In writing Water & Glass, my first novel, I wanted to explore the idea of a contemporary ark. The flood stories threw up some interesting questions for me, ones you might term "political", about the selection of the saved. Who would be eligible to board such an ark, and why? Would there be space only for the privileged and wealthy, or would hierarchies be based on other criteria such as technical skill, or creativity, or kindness? How would the temporary society within an ark, at sea for an unknown time, be organised? I think people are interested in so-called "apocalyptic fictions" because of these kinds of questions. Who would have the power in a hastily thrown-together new world? How would people adjust to a dramatic and abrupt shift in the "natural" order of things? Margaret Atwood's incredible novel The Handmaid's Tale (1985) asks the reader to think about the dark implications of a world order recast by infertility, a dystopia we experience through the eyes of its enslaved protagonist. Naomi Alderman's recent novel The Power (2016) explores what would happen to gender relations if women gained a sudden physical power that men did not have access to. 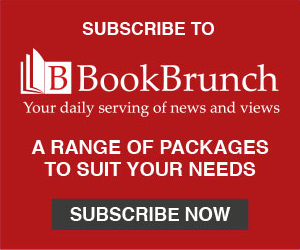 Other catastrophic dystopias, such as Cormac McCarthy's The Road (2006) - set in a blasted landscape ruined by a man-made or ecological disaster that is never named - explore the experiences of a few characters simply trying to survive in a hostile new environment. Still others offer a sense of the elegiac, where the world is reclaimed by nature, such as in JG Ballard's strange The Drowned World (1962) or Emily St John Mandel's Station 11 (2015). In some way these narratives, while they may feel prophetic or predictive, are also dramatisations of the "now". Atwood herself has said of her writing: "I would not include anything that human beings had not already done in some other place or time, or for which the technology did not already exist" (the Guardian, 2002). Such fictions might be called "extrapolations", rather than predictions or prophesies. It's no coincidence that the television adaptation of Atwood's classic is hugely popular now when we are interrogating the denigration of women in our own present. The movie version of McCarthy's masterpiece uses a landscape devastated by hurricane Katrina. Post-disaster forces the order of things into stark relief, asking us why they are arranged as they are. Post-apocalyptic fictions ask us to re-examine our relationship to nature, our values, how we might use our humanity and our art. When everything is stripped away, they ask us to redefine our culture. How would we organise rebuilding it? What would we save? How can we prevent such catastrophes from occurring? At the same time, they find aesthetic beauty in the aftermath of cataclysmic events. In Water & Glass I asked myself what life would be like confined in a semi-submersible large enough to house a village-sized community, deep in a hostile ocean. Humans and animals alike would be subject to cabin-fever. Would people begin to create new stories to comfort and entertain themselves? The novel is partly about the power of the narrative imagination in frightening times. But the beauty of the ocean endures. Post-apocalypse, the natural world takes over, and its terrifying, perhaps sublime, beauty comes to the fore. Human disasters are set against this backdrop. I think that apocalyptic novels are popular because they cross genre boundaries. Some are poetic and stripped down, like The Road; others blend elements of thriller or noir (in many ways China Mieville's political dystopia The City and the City fits this bill). We are also deeply conscious of the effects of climate change. And we wonder, I think, if parts of the earth that are now habitable will become inhospitable to our species. Dystopias demand we examine our responsibilities - political, social and environmental. I also chose the oceans to be the cause of my apocalypse because of the psychological power of deep water, because of the way in which it might stand in for a personal or collective unconscious: the unknown within ourselves, our darkest impulses, dreams, fears and creative powers. We must examine those before we can save the world outside. 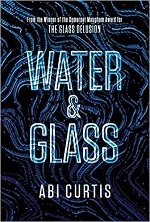 Water & Glass by Abi Curtis is published by Cloud Lodge Books.